The review of this book has been pending since a month. The reason it was so delayed that I was not sure what to write about such a book. What do you do when a book manages to generate extremely strong emotions of hate in you; not for the book but for events portrayed in the story? The book deals with a gory tale of conversion by the Christian missionaries in the tribal lands of Maharashtra. The story is setup in the 15th century where the a joint palatoon representing the King of Portugal to spread the Christ’s message of Love. The story starts when a brigadier in the Portuguese army along with a fresh convert attacks the palace of the princess Darshana Kamya Kathodi who rules the local tribe. The first half of the book deals with the inhumane methods and atrocities inflicted on the princess and the innocent tribal population. The first half of the story is a heart wrenching and sad tale of betrayal by her trusted people and brutality of the Portuguese soldiers to obtain maximum conversions. The first half of the book leaves you horrified and disgusted reminding of the acts of forceful conversions and the roles of the Brigadier, Priest and the local contact in the act. 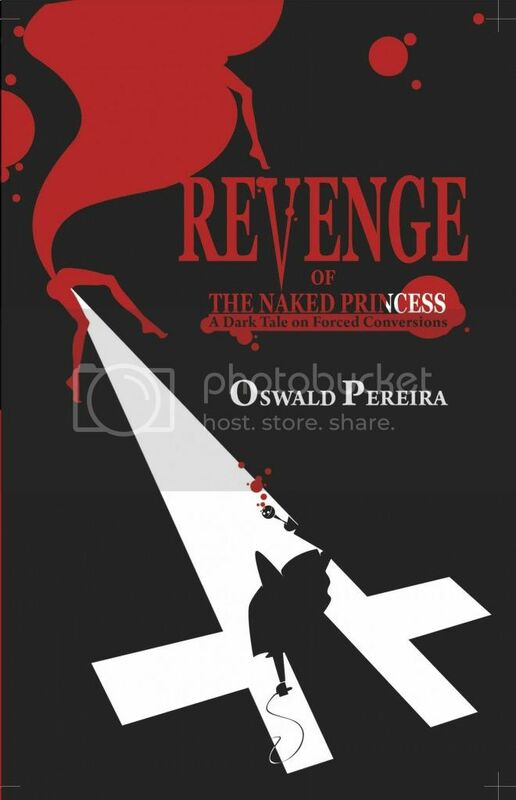 The second half of the book takes the story further when the princess extracts a revenge form the three atrocious people. Set in a backdrop of historical landscape the pace of the story is well maintained without losing the interest of the reader. The author successfully manages to evoke emotions of hatred against the entire façade of the forceful conversions through brilliant storytelling and characterization. The characterization is the best aspect of the book where the reader is consistently sympathetic towards the princess and hatred towards the antagonists. The tale is very well told except for the point where it becomes evident that the author is trying hard to justify the supernatural aspects of the story. Overall a nice book to read; generates a lump in your throat. The story is left dangling towards the end where as a reader you still feel the need for the closure, where the revenge doesn’t satisfy the crime. It will be disappointing if there isn’t a sequel to the book from the author to it to bring the closure to the princess’ revenge and the readers’ story. Summary: A great and emotional read. Pick this one up for sure if you are interested in historical fiction. Alas, all too familiar a theme Prats. Organised religions (all of them) have done appalling deeds in the name of propagating their religion. Look at Latin America – under the name of religion, entire cultures and populations were wiped out. It is such a pity that religion, which has the power to do so much good, often is an instrument of evil. I love historical fiction, but this appears to be a depressing theme ; so I’ll pass !